The MG102CFX is a 100 Watt 2 x 12” combo, and having two 12″ speakers means it ‘moves more air’, making it the biggest sounding of the MG combos. And because of its larger cabinet, it has a slightly lower frequency response, producing thicker bottom end. 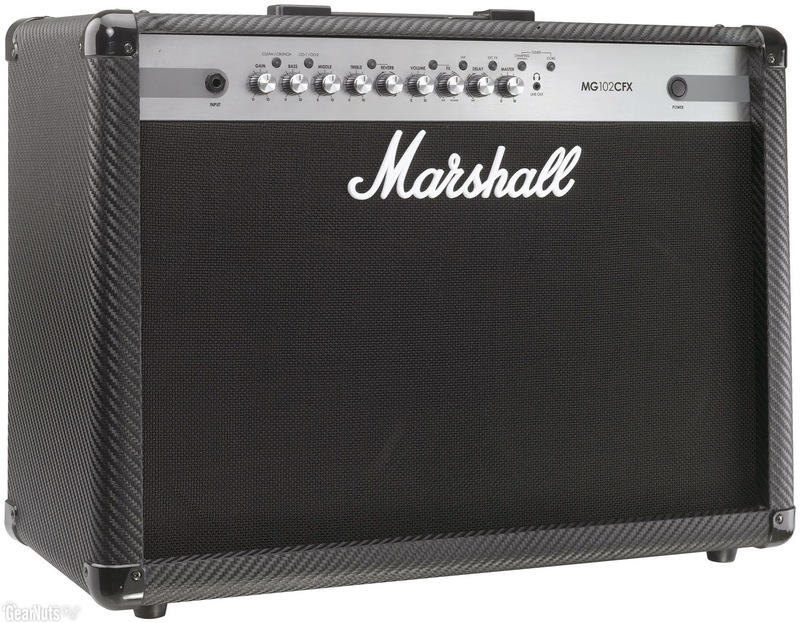 It has four channels: Clean, Crunch, OD1 and OD2, driven by famed Marshall solid-state tonal circuitry, and features our innovative speaker damping (FDD) technology. The MG102CFX also features an impressive selection of digital FX. In addition to the Chorus, Phaser, Flanger and Octave (fixed), it has a Vibe effect, two Reverb types, and an independent Delay section which consists of: Hi-Fi, Tape, Multi and Reverse Delays. This incredible selection of FX, along with channel change, is switchable using our revolutionary Stompware® footswitching technology*, developed originally for the JVM Series amps. The MG102CFX is loaded with 2 x 50 Watt Custom speakers.